An exhibition, customer's voice and a topic of our current condition of the talk are carried. We took part in the exhibition "SEA JAPAN 2018" at TOKYO BIG SIGHT from April 11th to 13th, 2018. 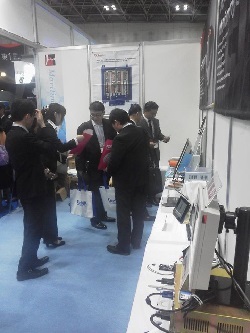 This time we exhibited demo machines of Data Logger System which was run by main computer “KEI-64S”. Addition to that, a sail controlling system called as “EnergySail (ACS)” was exhibited at the Eco Marine Power Co. Ltd and the Furukawa Battery Co., Ltd booth next to the KEI booth. The system used our computer. We will participate in the exhibition ” SEA JAPAN2018 ” which will be held in TOKYO BIG SIGHT. We are going to post an article about SEA JAPAN2018 on this website after the exhibition closes. We joined the exhibition "SEA JAPAN 2016" at TOKYO BIG SIGHT on April 13 to 15, 2016. It became the first exhibition for ”KEI-64S” which was our new main computer. This time we could display improved Data Logger system with this new CPU. Moreover, Aquarius MAS (The Aquarius Management & Automation System) was displayed at the Eco Marine Power Co. Ltd and the Furukawa Battery Co., Ltd booth next to KEI. The system used our computer”KEI-3240”. 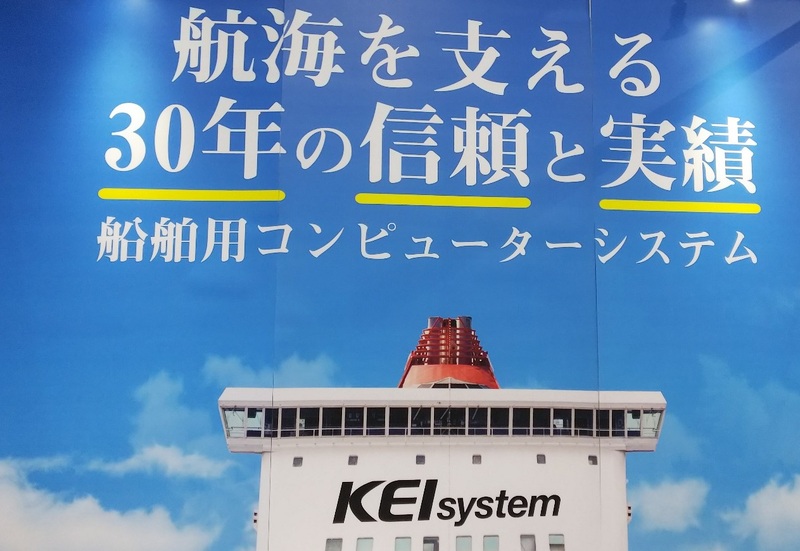 We show what it was like the KEI booth at SEA JAPAN2016. We will participate in the exhibition ” SEA JAPAN2016 ” which will be held in TOKYO BIG SIGHT. We are going to post an article about SEA JAPAN2016 on this website after the exhibition closes. We joined the exhibition “Electric & Hybrid Marine World Expo 2015” held in Amsterdam, Netherlands on June 23 to 25, 2015. We exhibited together with Eco Marine Power Co. Ltd and the Furukawa Battery Co., Ltd in the same booth. 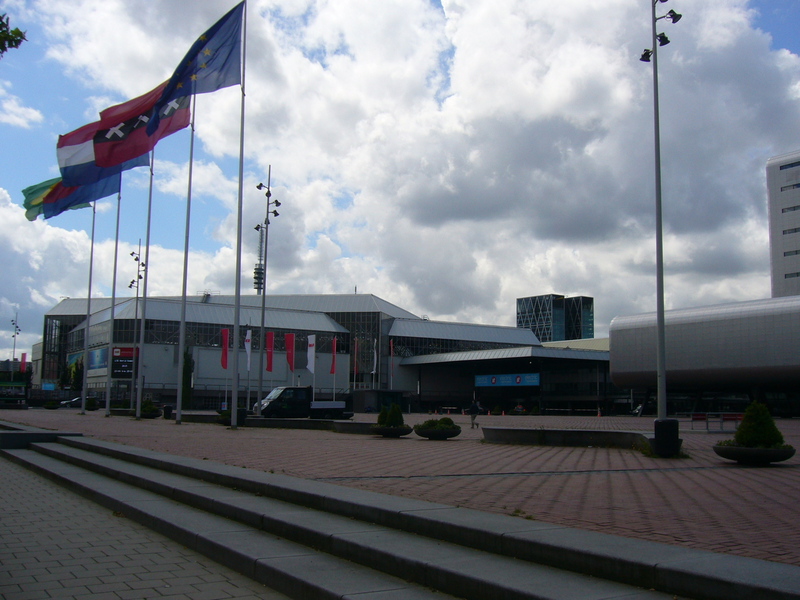 This was the first exhibition for KEI in Netherlands. We gave a renewal of the home page . We will participate in the exhibition ” Electric & Hybrid Marine World Expo ” which will be held in Amsterdam, Netherlands as an exhibitor. We will post an article about the exhibition on the website in the future. We joined the exhibition "SEA JAPAN 2014" at TOKYO BIG SIGHT on April 9 to 11, 2014. This time we displayed a prototype system of “EnergySail” and a solar panel manufactured by Solbian Energie Alternative srl. “EnergySail” is a device which controls rigid sails with solar panels being developed by Eco Marine Power. KEI have been developing the computer control system for this device. 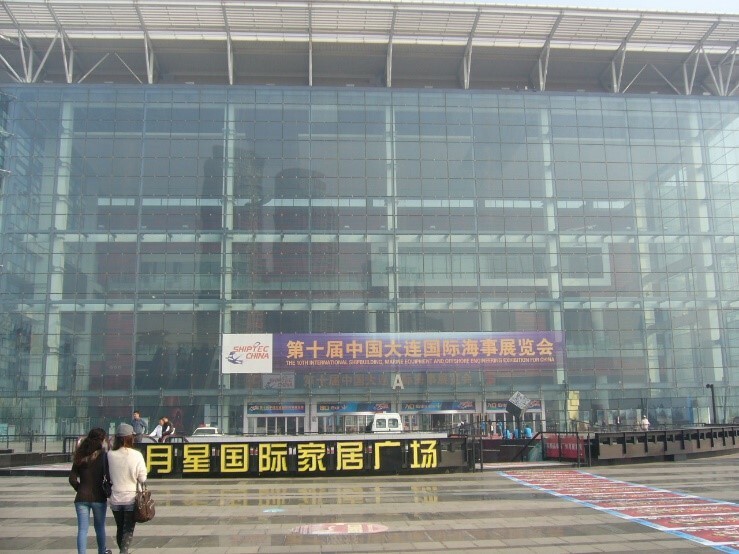 We participated in the exhibition “Shiptec China 2012” held in Dalian on October 23 to 26, 2012. 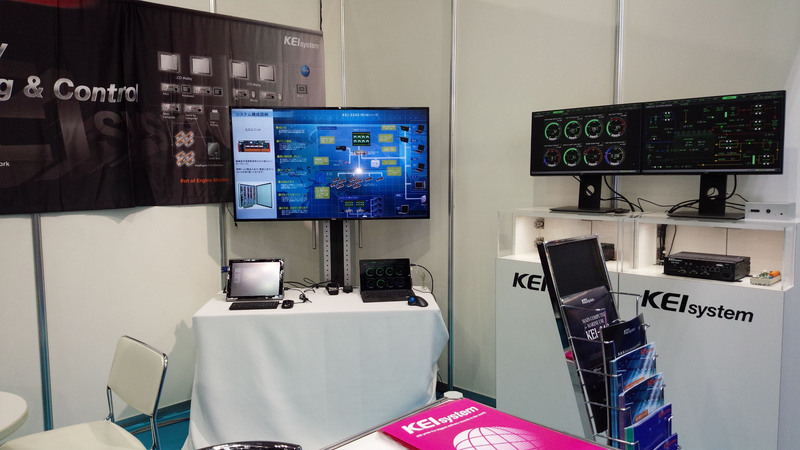 In addition to a laptop, we exhibited a tablet PC as displays for KEI Data Logger. Our Data Logger and Valve Control System enable them to display data via the wireless LAN.